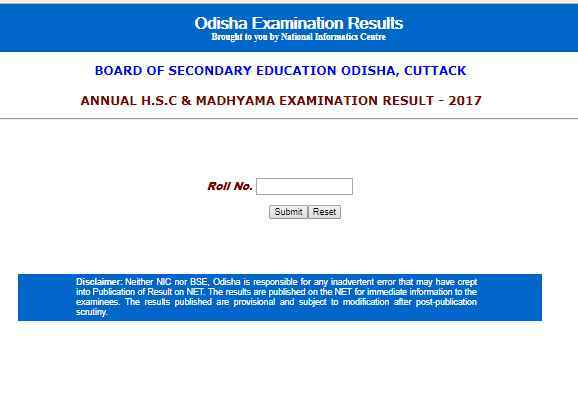 Can you tell me the process to check the Annual H.S.C & Madhyama Examination Result – 2017 from the official website of Board of Secondary Education Odisha, Cuttack? The Board of Secondary Education, Odisha is a body Corporate constituted under the Odisha Secondary Education Act, 1953. It regulates controls and develops Secondary Education in the State of Odisha. Bajrakabati Road, Cuttack-753001, Odisha (India). All times are GMT +5.5. The time now is 03:49 AM.